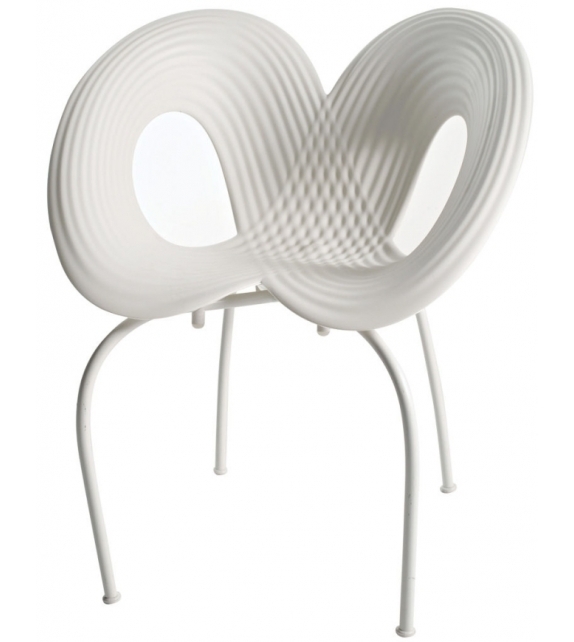 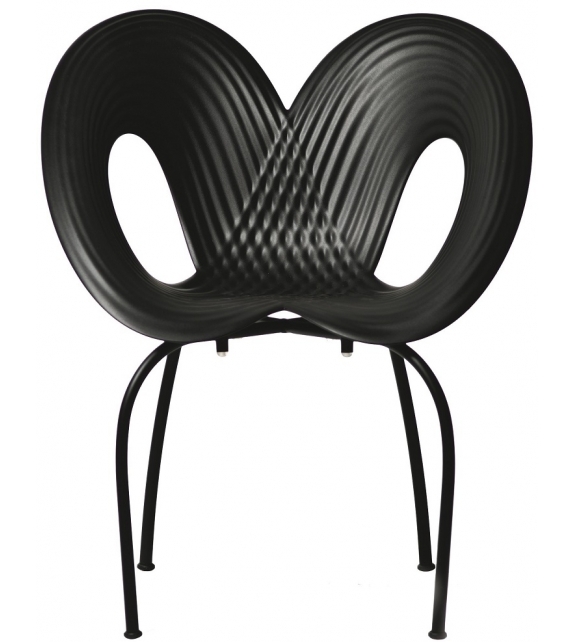 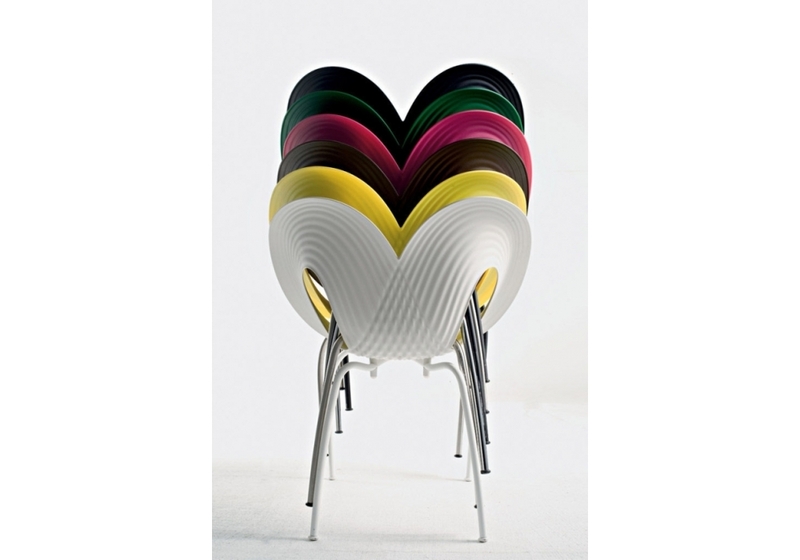 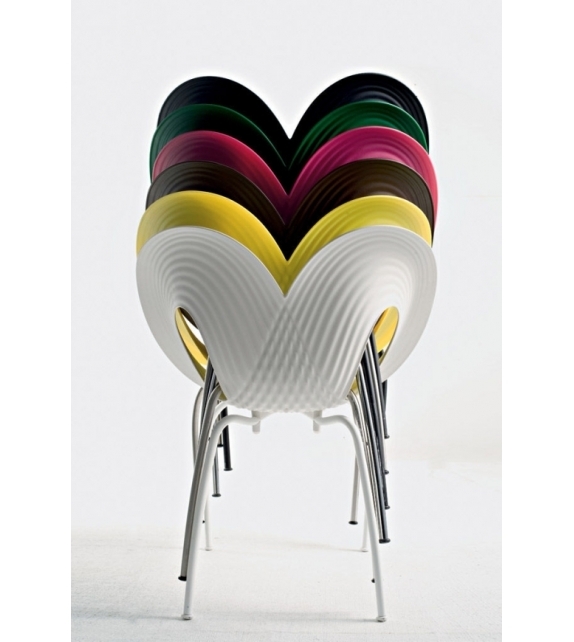 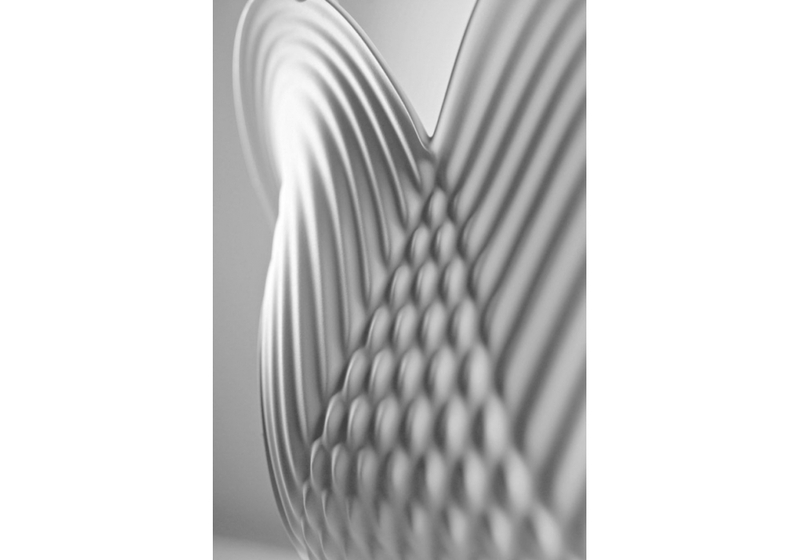 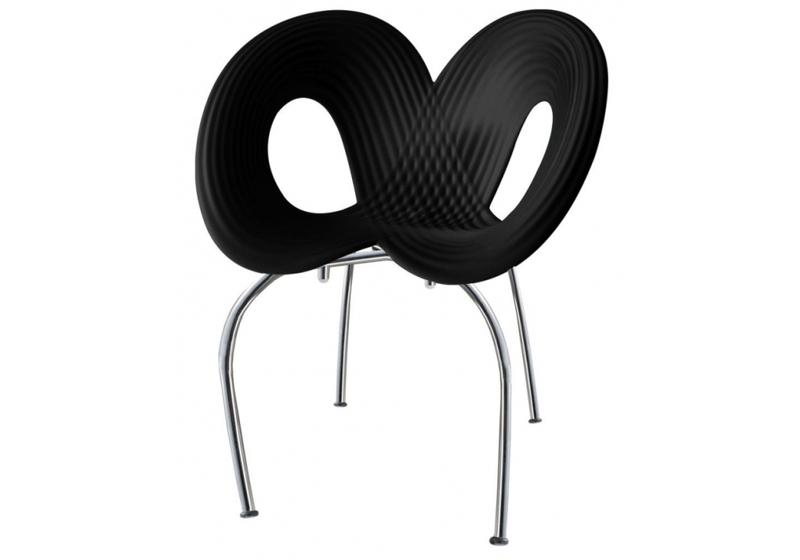 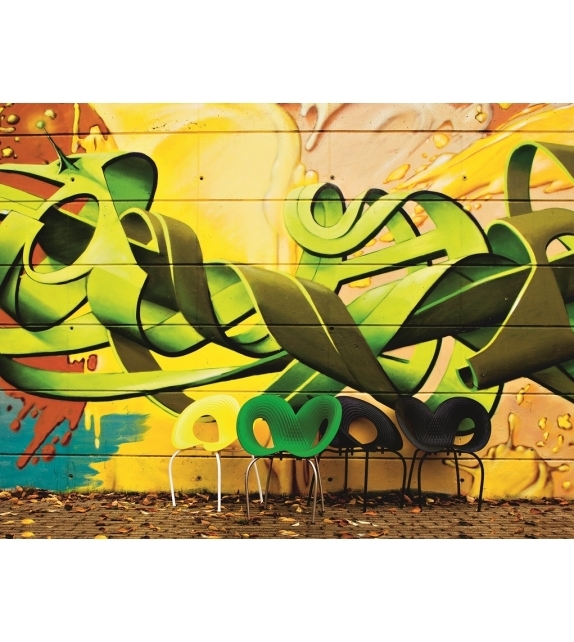 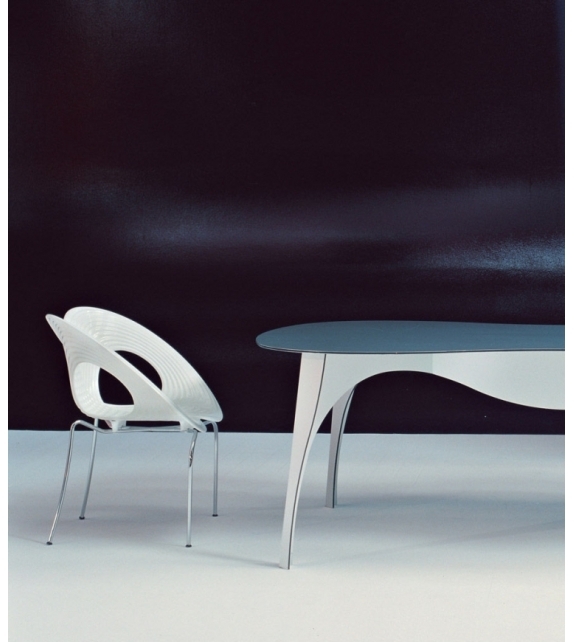 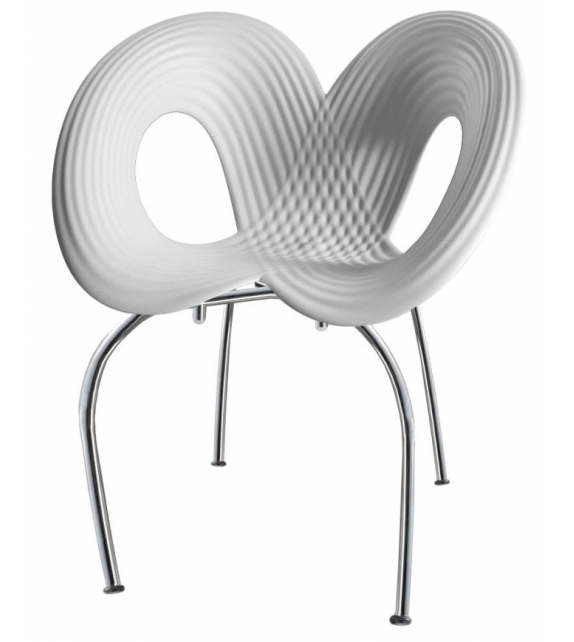 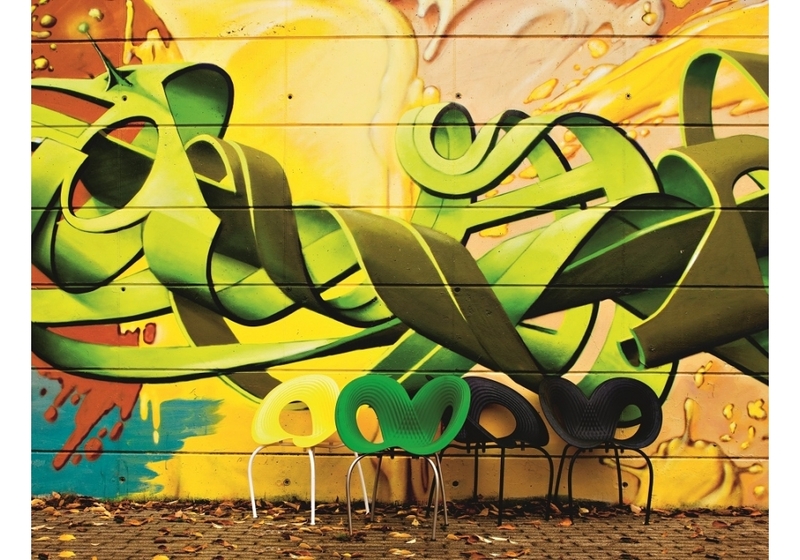 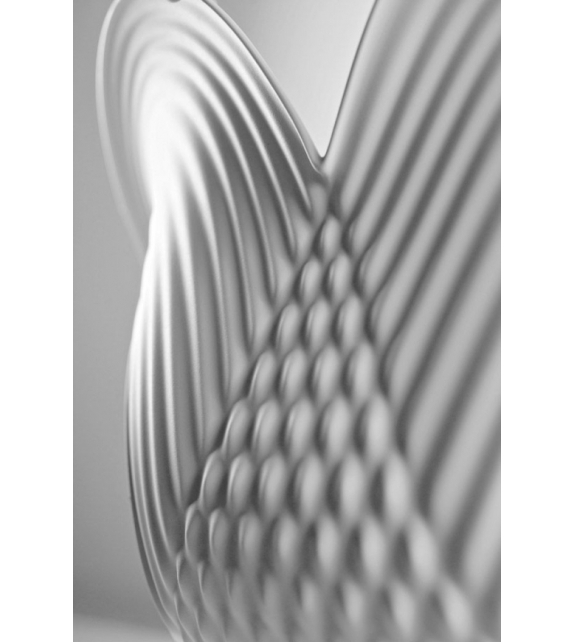 Ripple Chair is the chair designed by Ron Arad for Moroso. The frame of Ripple Chair is made of white polished and natural injection-moulded thermoplastic to highlight the design in relief that is reminiscent of the traces left by sea waves on sand. 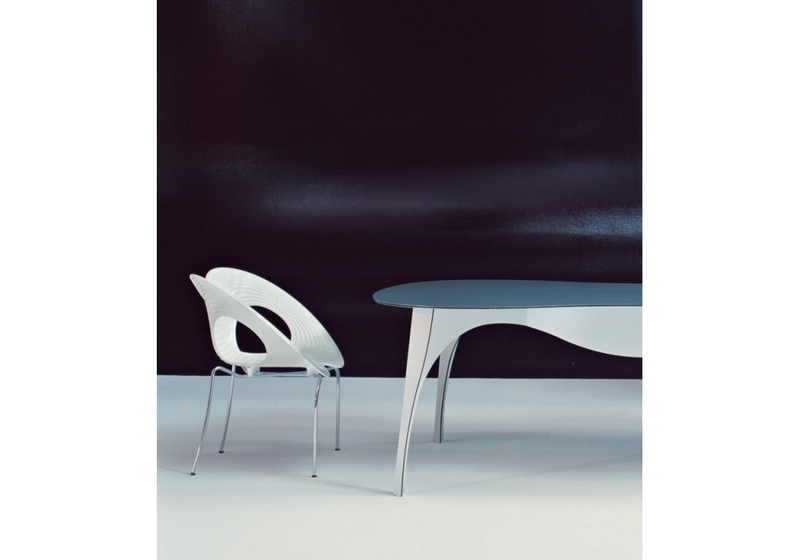 The circular aperture of the seat,the lightness and softness of the lines make Ripple Chair particularly suitable for both domestic and public spaces. 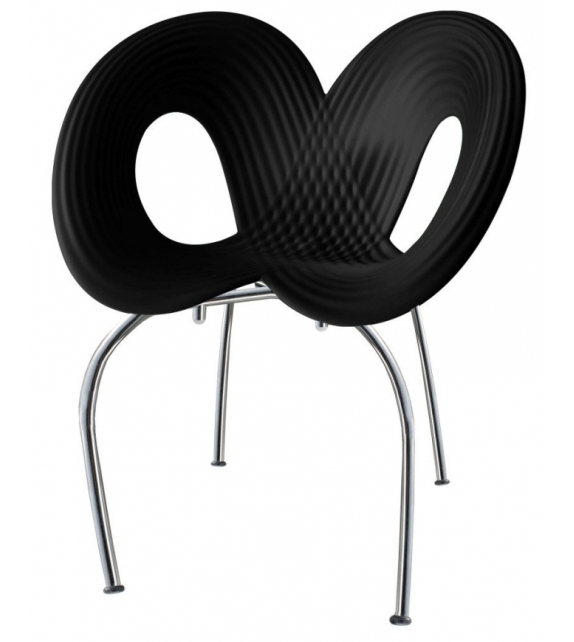 Ripple Chair is the chair designed by Ron Arad for Moroso. 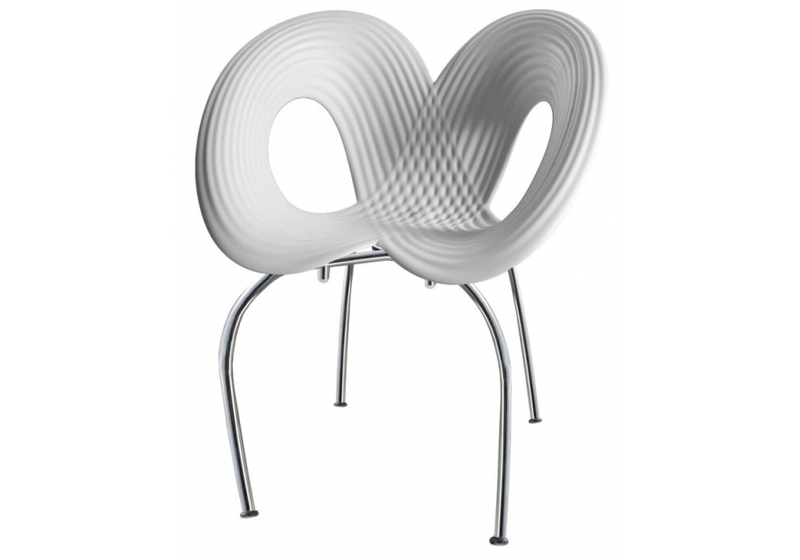 The frame of Ripple Chair is made of white polished and natural injection-moulded thermoplastic to highlight the design in relief that is reminiscent of the traces left by sea waves on sand. 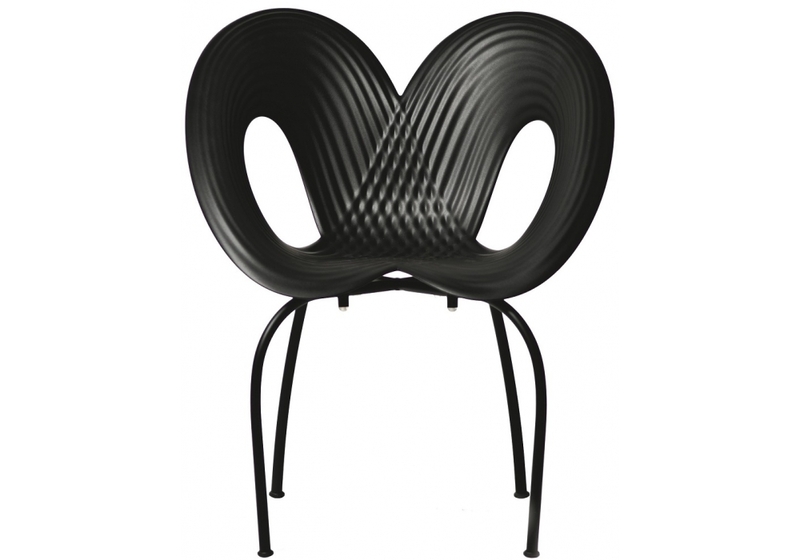 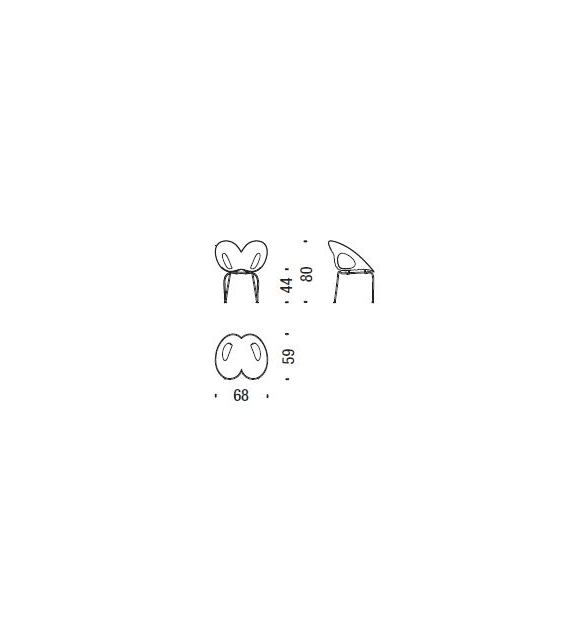 The circular aperture of the seat, the lightness and softness of the lines, the sturdiness of the material used and its stackability make Ripple Chair particularly suitable for both domestic and public spaces.